While investigating strange obelisks in the Ashen Hills, your heroes quickly find themselves entangled in a plot that threatens to change the face of Terrinoth forever! You soon find yourself face to face with the Dread, a cult convinced the return of the Dragonlord Margath will usher in a new age for the worthy of Terrinoth. But what does this shadowy organization hope to achieve? Who is leading this cult, and are they the true designer of these dark machinations? Answers to these questions and more await if you are brave enough to venture forth in Embers of Dread. 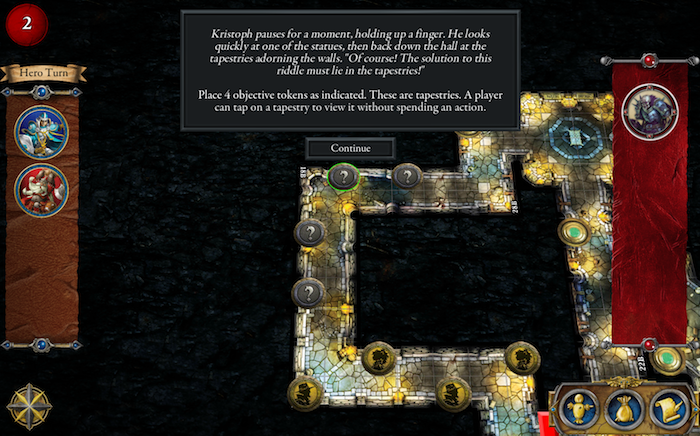 The Embers of Dread campaign features plenty of action, but you'll also find more puzzle-centric missions that will put your wits to the test with riddles, puzzles, and more. Investigating the Ashen Hills may kick off your adventure, but it will take more than a flash of steel to discover the true villains pulling the strings behind this conspiracy. Your enemies will want to see you silenced, including the dragon-hybrid Belthir, working with the cult to bring Margath back to the realm of Terrinoth! Embers of Dread also introduces your characters to a brand-new location, the morally nebulous city of Riverwatch. As a martial city, various mercenary guilds have come to call Riverwatch their home, and your heroes will have the opportunity to align with these groups over the course of Embers of Dread. An alliance with these guilds can see your heroes gain extra gold at the cost of sacrificing their fame. While preserving your fame is of vital importance, the gold received can be a tremendous boon to your heroes—what will you choose? This additional gold can go a long way in the city of Riverwatch. 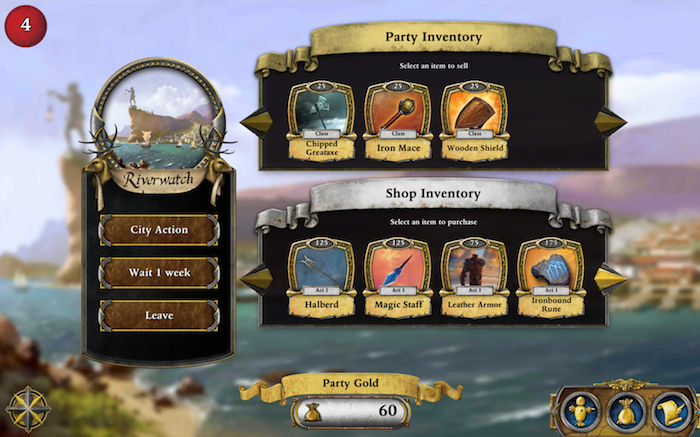 At the nexus of three rivers, Riverwatch is an ideal port of trade in the land of Terrinoth. 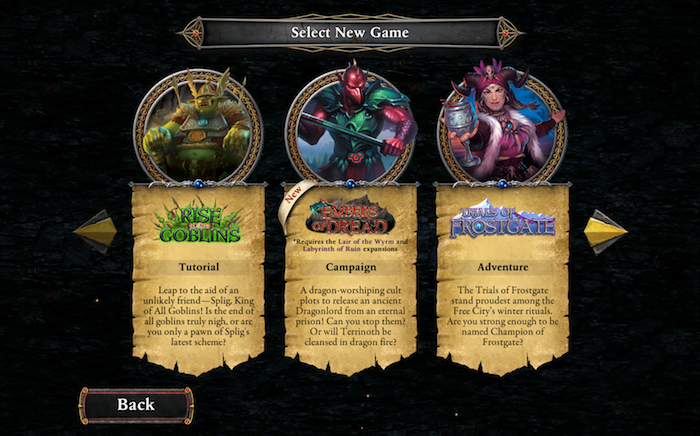 With some careful negotiations, your heroes can even expand the number of items available for purchase between adventures, giving you many more options for customizing your character as you fight back against the doom quickly approaching Terrinoth. Riverwatch is not a city for the faint of heart, but if you’re willing to embrace the cutthroat nature of the town, plentiful rewards await! Embers of Dread is available now, and the holidays are the perfect time to solidify your heroes as legends. But do you have what it takes to unravel the mystery surrounding the strange activity in the Ashen Hills? Or will Terrinoth be cleansed and purged through dragon fire? Only your heroes have the strength and wits to survive the new Embers of Dread campaign for Road to Legend, available now through the App Store, Google Play, Amazon and Steam!